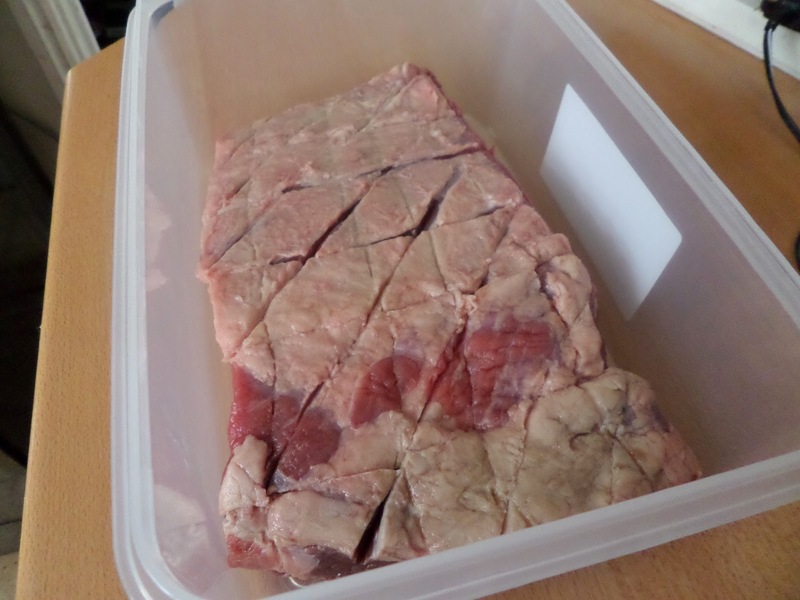 After our success with proper American style barbecuing of chicken, we’re moving on to doing a beef brisket. 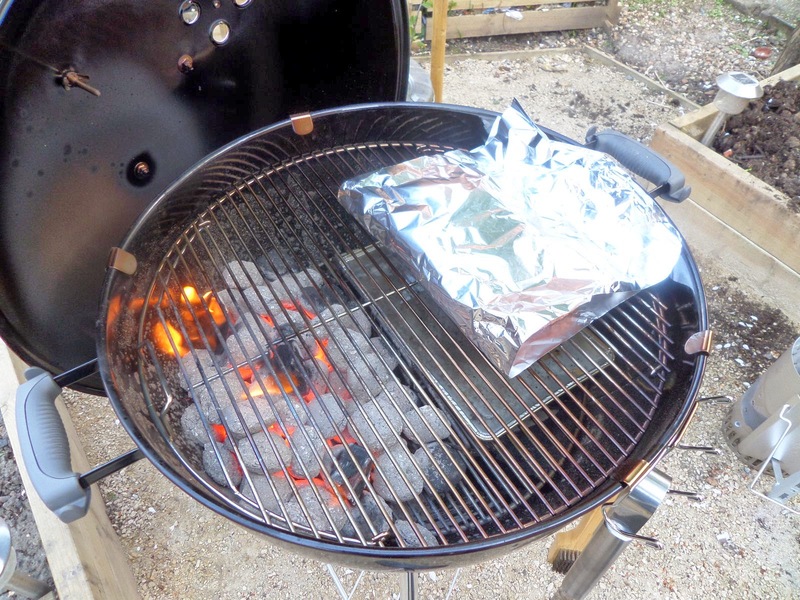 We tried our first BBQ brisket at the Craft Beer Rising festival in February and it was amazing, and we’re hopeful that with the help of America’s Test Kitchen’s instructions, along with their Kansas Brisket recipe, we can cook something as amazing ourselves. 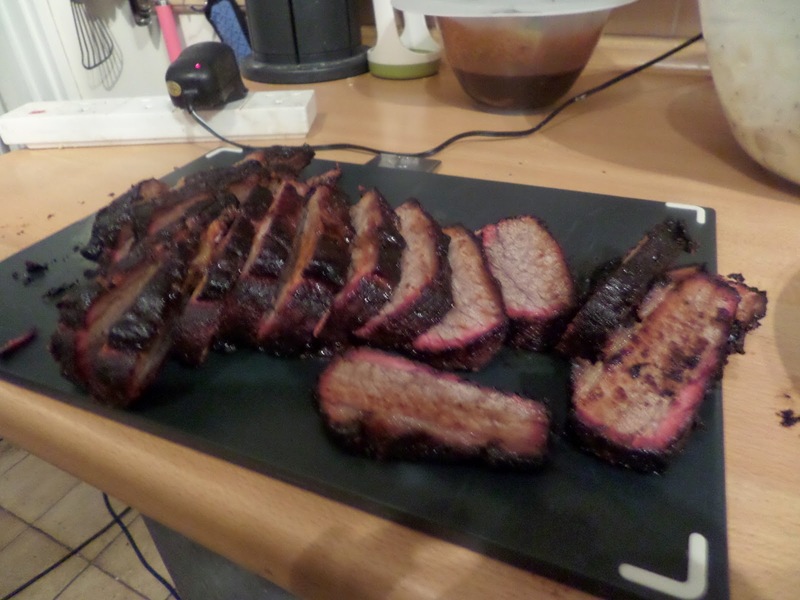 So we scored the brisket, then brined it. 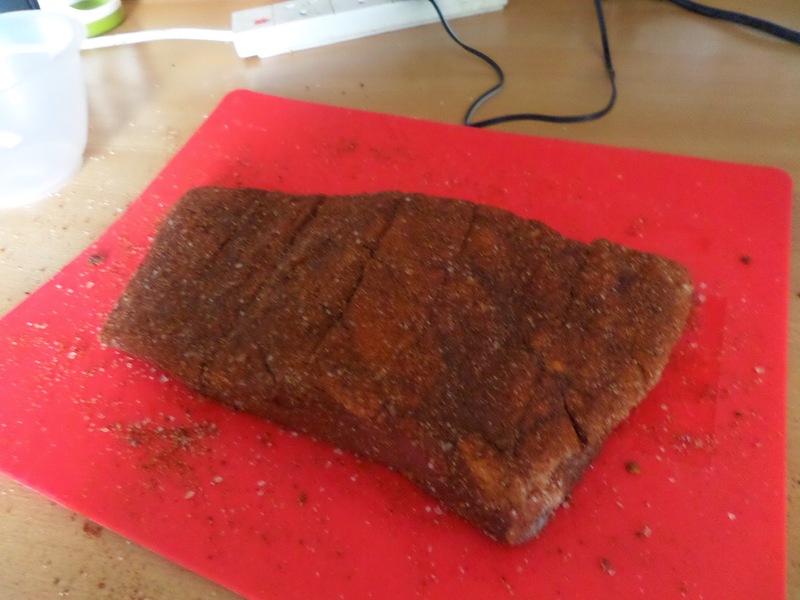 After brining we gave it a good spicy ‘Kansas style’ rub. Then we got the BBQ going. 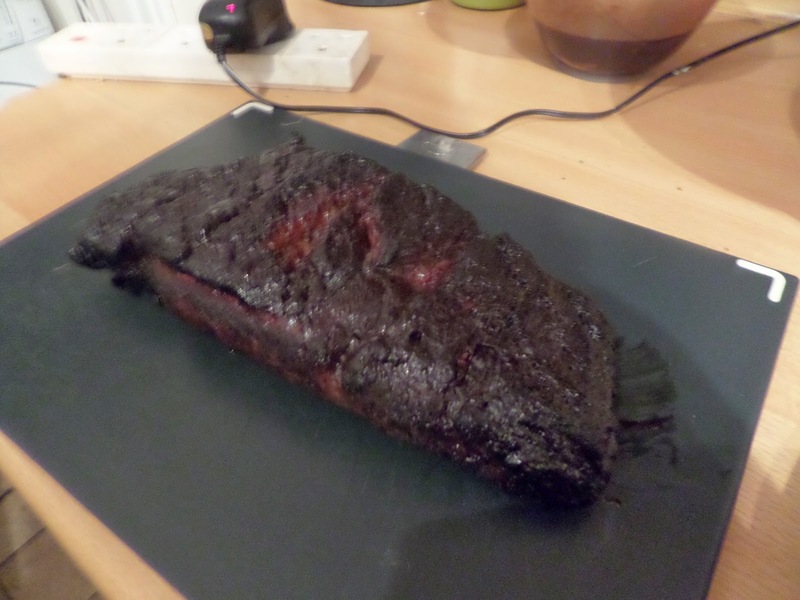 The brisket then goes on for 1h30m covered. 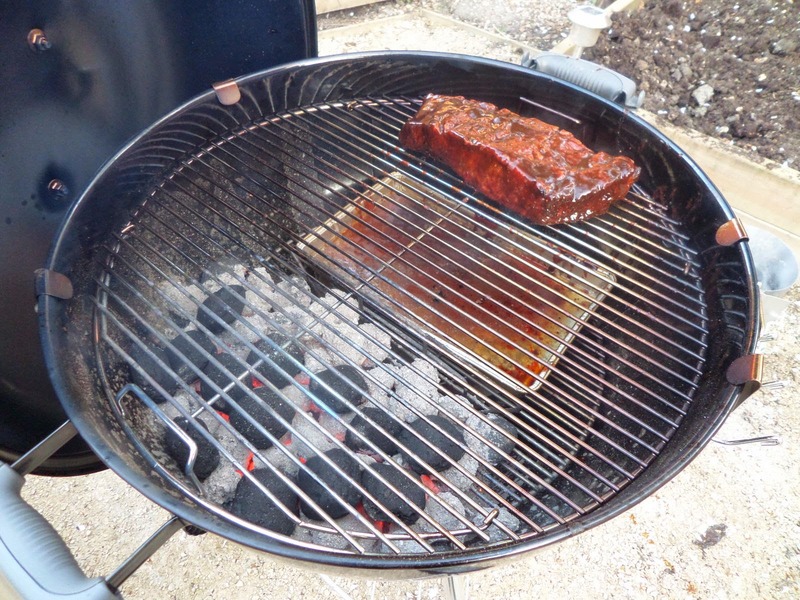 The lid goes on for cooking, pulling the smoke over the meat. Then it’s Kansas hot sauce time and another 1h30m. After resting and cutting it looks much better. 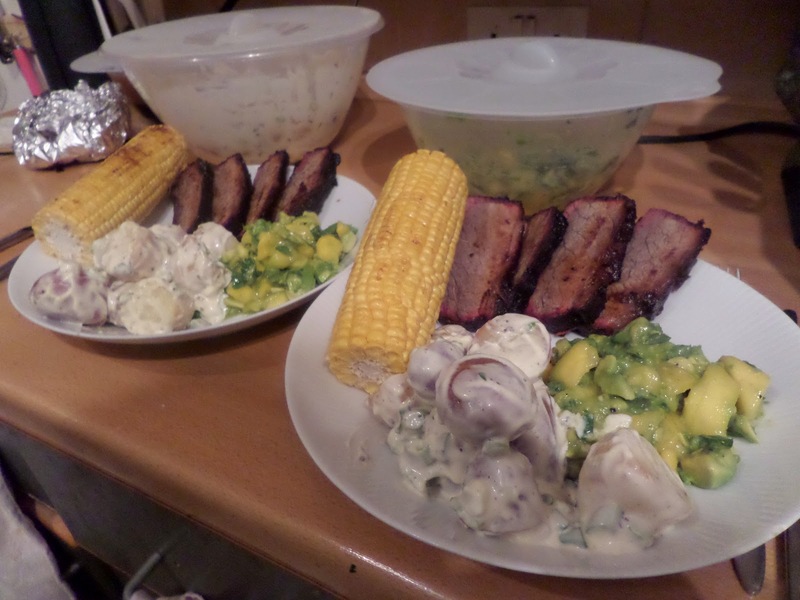 We ate it with grilled corn plus potato and avocado & mango salads. 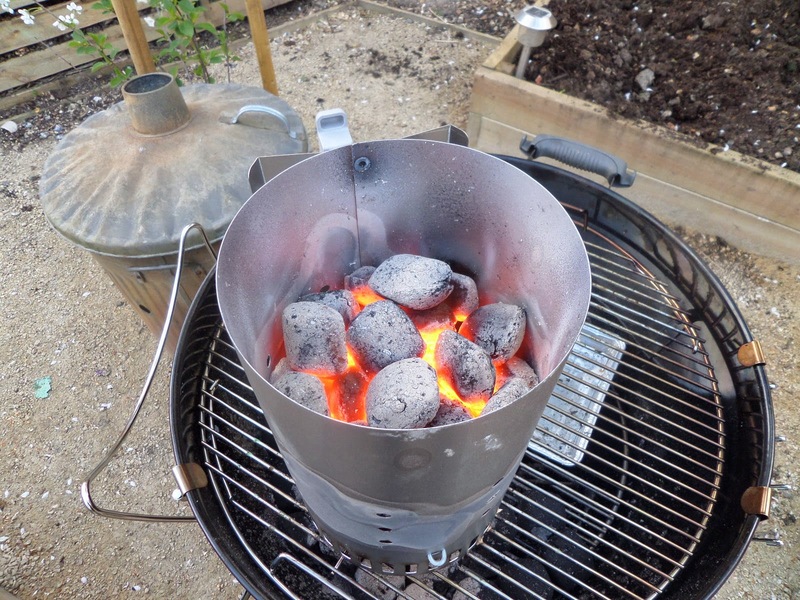 The corn was al dente but very flavourful… but in the future we’ll add more charcoal during cooking to give us extra heat so the corn gets a proper charcoal grilling with proper blackening. But when you bite into it… it’s moist and flavourful and spicy.Amazing!